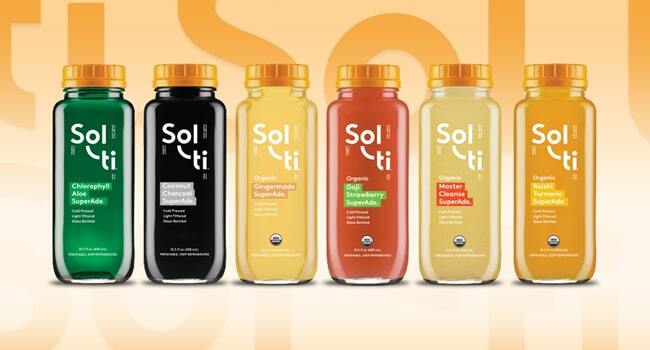 Seeking to protect its trademark for the term “SuperAde”, California-based beverage maker Sol-ti issued a cease and desist letter to Daily Greens last month after the Texas-based cold-pressed juice company launched a SuperAde line of its own at the Natural Products Expo West 2019 trade show. At the show, held from March 5-9 in Anaheim, Calif., Daily Greens sampled two new cold-pressed lemonade products made with chlorella superfoods that were marketed as “SuperAdes.” The products were intended as an extension of its existing GreenAde line, which is also made with superfoods. Sol-ti, however, launched a SuperAde line in 2016 and later filed for a trademark for the term in May 2017. It received registration in October 2018. Sol-ti’s SuperAde line is made with pressed lemon, superfoods, and reverse osmosis water. In a March 11 letter addressed to Daily Greens CEO Shauna Martin, Sol-ti — through California law firm Vested Law — demanded the company immediately stop selling the line, destroy its unsold inventory, remove all references to “SuperAde” from its labels, and provide an accounting of all revenue made from the products to date. Speaking with BevNET last week, Sol-ti founder and CEO Ryne O’Donnell said the company has sent between two and five cease and desist letters to other companies marketing SuperAdes within the past 18 months, and as many as 10 times within the past two years. He said every company Sol-ti has approached has agreed to stop using the term and no lawsuits have been filed to date. Daily Greens did not respond to requests for comment by BevNET. The SuperAde line does not currently appear on the company’s website or social media. It is not clear if the products were in circulation.